Many exciting marketing advancements are possible today with the adept use of customer data to create a frictionless buying journey. But marketing people aren’t the only ones having fun at the data party. Product development is also enjoying a competitive leg up by using customer behavioral data to help decide how to produce better products. Intelligent technology in products has allowed companies in many industries to collect new types of information, including users’ locations and behavior. The personalization that this data allows, such as constant adaptation to users’ preferences, has become central to the product experience. Survios, a producer of chart-topping virtual reality (VR) games, is an innovator in the use of complex customer data to gain a competitive business advantage. The Survios product development team has taken a deep dive into their customer data to learn how players engage with their games so they can heighten user experience in future product offerings. The data-intense nature of VR gaming offers a wealth of insights into player behavior to drive amazingly creative possibilities. But to elevate the player’s journey into something richer, product development first needed an accurate, 360 degree view of the customer to validate their assumptions about user engagement. This deeper level of customer data acquisition was not possible without the Treasure Data Customer Data Platform (CDP) integration. Survios desired a lot of flexibility and capabilities beyond traditional analytics solutions. So, armed with Treasure Data’s Customer Data Platform and the adventurous spirit of a VR gamer, Survios has successfully conquered the often big-hairy-problem of data integration. Leveraging Exostatic, a Treasure Data consulting partner to own the data pipeline and interpret insights, advancements in player experience are dynamically implemented into the games. The data is used to decide new product features and enhancements. They constantly monitor matches, wait times, processing capabilities and other infrastructure elements to drive performance optimization and ensure a positive product experience for players globally. Are an appropriate percentage of players actually playing through the entire game, or is there a higher drop-off rate on specific levels? Where are players launching from; the Steam entertainment platform, or through Oculus? Are players holding something? Are they grabbing something? Are they left- or right-handed? Are they using the Rift or HTC? Which players continue to come back to a game and invest a consistent amount of time in the game? To understand which hardware platforms worked best for players, Survios conducted control scheme analysis and explored weapon interactions for better product advancements. Survios is a masterful example of achieving bleeding-edge integration of complex sets of customer data to make granular decisions for product improvements. Strategic use of user data has provided Survios a key competitive advantage, helping to propel Survios games to the top of the charts. So, if Santa brought you a new VR game from Survios this year, you now can have a deeper appreciation for their awesome player experience. Learn more by watching the AR and VR By the Numbers webinar. 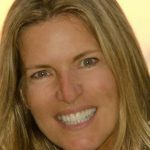 Tracy Toschi leads all marketing content development efforts at Treasure Data. Formerly, she managed marketing programs and events at Full Circle Insights, IBM and Selectica. She loves to tell the great stories of how Treasure Data users gain strategic business insights with their customer data. Do you have a story she can tell? Contact Tracy at ttoschi@treasure-data.com.